The newest basic substance production unit of one of the world's most reputed pharmaceuticals company has been inaugurated in Debrecen. Within the framework of the development, a two-storey manufacturing area with high headroom and 11 reactor halls and an adjacent four-storey servicing building block have been completed. As a result of the investment project worth of more than EUR 15 million, Teva's global active ingredient production capacities will more than double. The Israel-based Teva Pharmaceuticals dating back to a history of more than a century is the world's leading generic pharmaceuticals manufacturer. The company is active in more than 60 markets, having production plants in 33 countries and R&D centres in 18 countries while its products are used to help the treatment of 200 million patients a day. 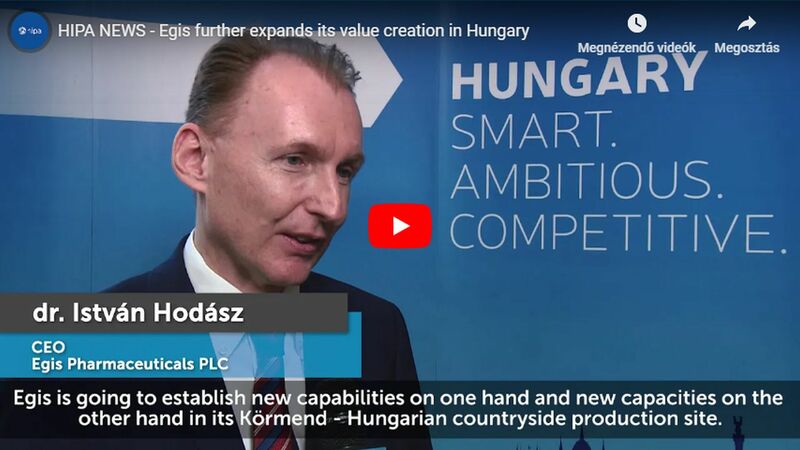 Teva has been present in Hungary for 25 years as one of the leading players of the Hungarian pharmaceuticals market, and also as one of the most important employers in Debrecen and its environs. Our country is a key component in the company's global chain, not only in terms of manufacturing but from the R&D aspect as well. The pharmaceuticals and basic substance production plant of Debrecen plays a key role in the European market, by producing nearly 10 billion tubes of medicine a year. Teva's Hungarian manufacturing plants export their products to European, American and other markets, ensuring work thereby for two thousand Hungarian employees. The construction works on the new plant of a surface of approximately 1500 m2 started in January 2017, and the most important "pro" argument for implementing the project in Debrecen consisted in the unique set of assets and knowledge available at this plant. The factory which is suitable for manufacturing the active ingredient of Caspofungin – an antimycotic active ingredient used in the treatment of grave and systemic diseases (detectable at several points in the organism) – will use the most state-of-the-art technologies currently available in the pharmaceuticals industry. Thanks to the excellent quality of its products and outstanding capacities, the active ingredient manufacturing division of Teva has always met the requirements of the market, but this factory has been built also for facing the challenges of the future. This unit has already been designed so that it can flexibly adapt to the needs of the customers, thus, the production volumes can be quickly extended. And in the spirit of promoting the use of and exploiting green energy, a solar cell system has been deployed on the roof of the building. – said Attila Mile, director in charge of basic substance manufacturing at Teva Hungary. In addition to the new factory unit suitable for producing Caspofungin, Teva has recently inaugurated a new finished medicinal product production line as well – which has been implemented within the framework of an investment project amounting to nearly HUF 1.7 billion – which can boost the current production volume to a capacity of even 800 thousand tubes a year. 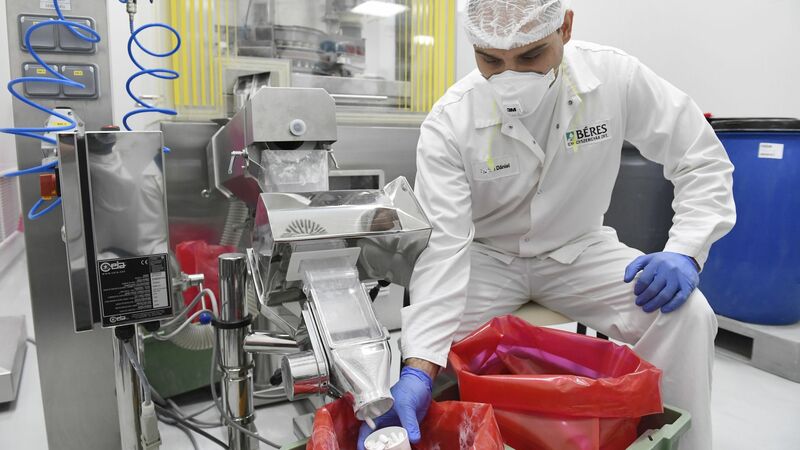 The procurement of the production line was justified and necessary, in addition to the extension of the capacity by nearly 10%, for the reason of becoming able to produce high-dosage pharmaceutical basic substances as well. Debrecen is one of Teva's most important manufacturing and R&D centres, both as regards active ingredients and solid pharmaceutical products (tablets, coated tablets and capsules). As a consequence, the pharmaceutical company seeks continuously to develop and enhance this plant of strategic importance.